Following the 2018 Churchwide Gathering, we heard over and over that one of the most meaningful aspects of the Gathering is the coming together of a sisterhood of believers from all over the world. Presbyterian women appreciate the diversity and the chance to form relationships across borders, relationships built on our oneness in Christ. We often find that as we put together an issue of Horizons, the Holy Spirit is at work. There develops a synergy between the articles that can only be God-given, in which grace weaves the articles together. Each author reveals truth that supports the truth of others. 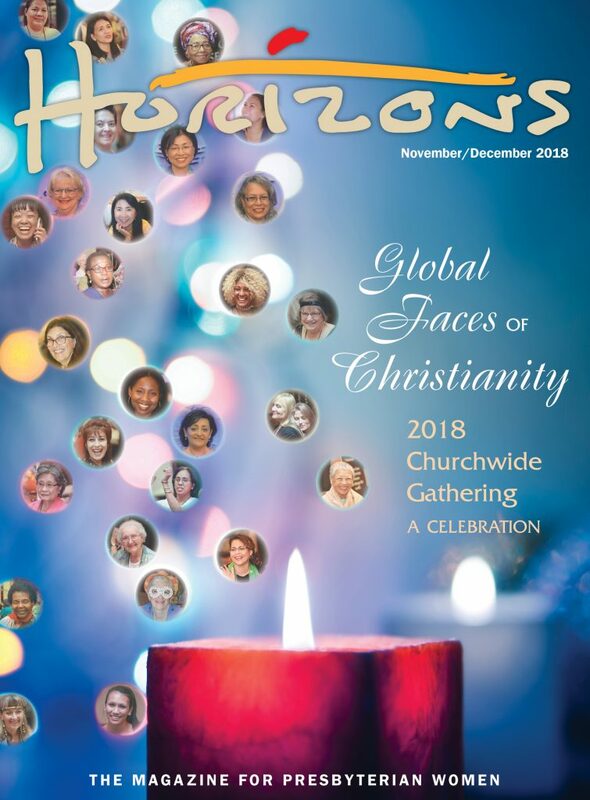 In this issue, the scripture that inspired the theme of the 2018 Churchwide Gathering, “Arise, shine; for your light has come, and the glory of the Lord has risen upon you” (Is. 60:1), inspires our writers, as well. Whether in their presentations for the Gathering or articles written specifically for this issue, each author derives inspiration from that scripture. Ruth Santana-Grace and Roula Alkhouri specifically describe the choice presented in Isaiah 60: faith in God’s presence and goodness, or darkness and despair. Anita Coleman, too, grapples with choice. 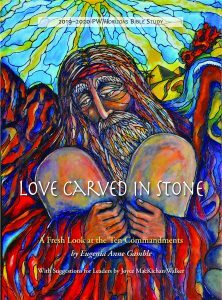 She describes her experience of the choice Christians face between God’s ways and the ways of the world. She experienced Christianity first in India, where she was born, then in the United States, where she has lived for most of her adult life. She describes putting on the identity of Jesus Christ, confronting the culture of busyness in the U.S., its distractions from a life of the spirit, and choosing to stay centered in faith. Jieun Han speaks of the culture of Christ as clothing we put on to extend hospitality to others. She says we are called to reflect the Light of God to others. Cleda Locey, the first moderator of Presbyterian Women, also describes this reflection of God’s goodness as our call in Isaiah. May we each choose the culture of Christ, wearing the cloak of hospitality and reflecting God’s goodness to all. Already a subscriber? Log-in to read this issue. Marisol Jiménez speaks from first-hand experience of the immigration crisis in the U.S. She examines the global economic system that exploits workers and endangers the environment while benefiting a few, calls us to radical hope in the face of a broken system, and shows us that this conversation is about much more than borders. Honoring Tradition: Christian or Native? Danelle McKinney describes the ever-changing space between Native tradition and Christianity in Native American Presbyterians’ lives. She points to the Doctrine of Discovery and the church’s repudiation of the doctrine, noting that Presbyterians, Native and non-Native, are just beginning to grapple with its impact. Ruth Santana-Grace’s Gathering plenary presentation, adapted for the magazine, calls us not only to rise to the challenge of darkness in trying times, but to “Sigue, sigue” (“Keep going”). Anita Coleman traces the arc of her Christian faith from her childhood in India through the doubt of young adulthood in a competitive U.S. culture to her reclaimed identity in Jesus. Sylvana Apituley, both a church and government leader in Indonesia, is particularly situated to view progress on both fronts in the campaign to empower women and improve their status in society. She describes goals and progress on both fronts in Indonesia. 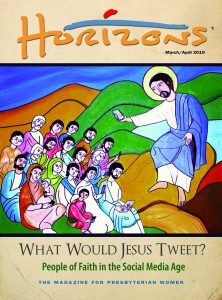 Roula Alkhouri offers reflections and questions for use in studying Lessons Five and Six of the 2018–2019 PW/Horizons Bible study, God’s Promise: I Am with You by Amy Poling-Sutherlun. Executive Secretary of the Fellowship of the Least Coin, Liza B. Lamis, explains the hallmarks and history of this prayer movement and announces the programs receiving grants funded by least coins given around the world.